I walked into McQueen’s shop and he stopped what he was doing to stare at me. As I walked closer, I noticed his gaze was fixed on my blazer. I was afraid that I had spilled something on it, but it turns out that I had committed a more heinous crime. I was wearing various shades of grey and my blue and white checked pocket square was obviously ruining the look. McQueen reached underneath a table, pulled out a box of pocket squares, and placed it on top. After a few seconds of rummaging through the box, he pulled out a grey pocket square with subtle purple squares. “Try this one,” he said handing me the piece of fabric. I folded the square and gently placed it in my pocket. McQueen nodded approvingly. When I looked in the mirror, I realized that it was much better. Making men look better is what McQueen does, a talent he developed a Jarvis College in Hawkins, TX. While in college, McQueen honed his knack for mixing patterns and colors in interesting ways. It didn’t take long for other people to start noticing his gift. McQueen gave me a quick lesson on how to mix patterns. 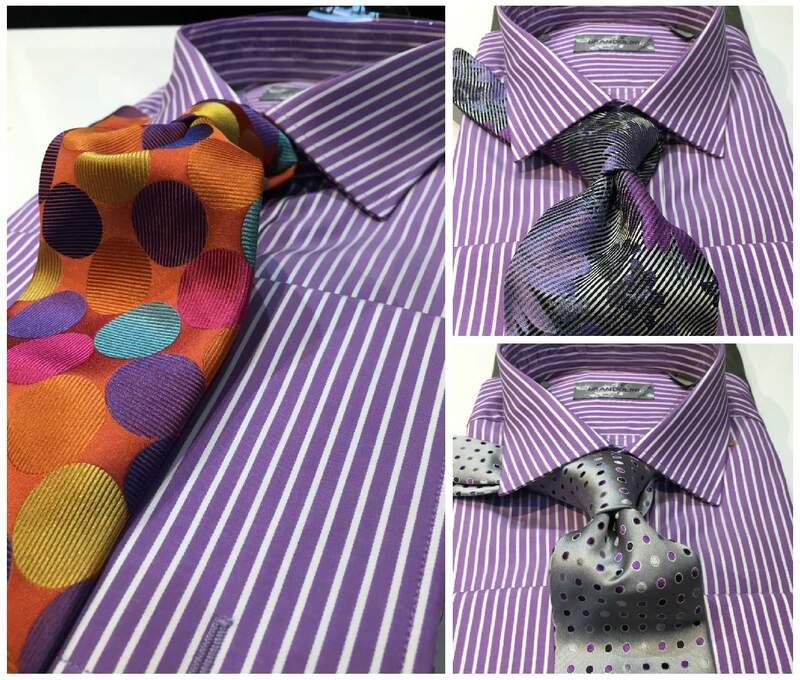 Soon, the Tie Guy had to add shirts to his inventory. Eventually, McQueen’s enterprise outgrew his car and he set up shop in his home studio. In 2000, McQueen opened his storefront, McQueen’s Custom Tailor Shoes & Accessories, in Third Ward, a historic African-American neighborhood in Houston, TX. The shop is frequented by politicians, businessmen, pastors, entertainers, and guys who just want to upgrade their wardrobe. 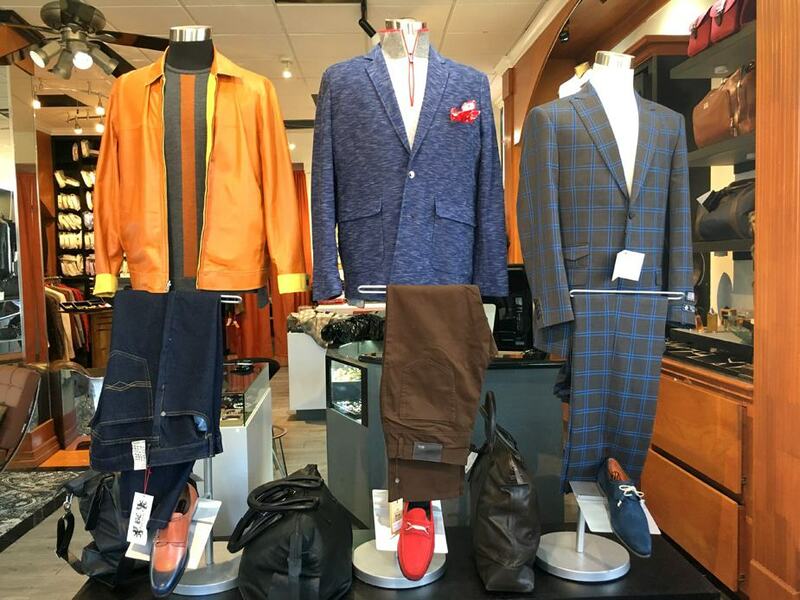 McQueen specializes in custom clothing and is passionate about giving men something that is uniquely theirs. 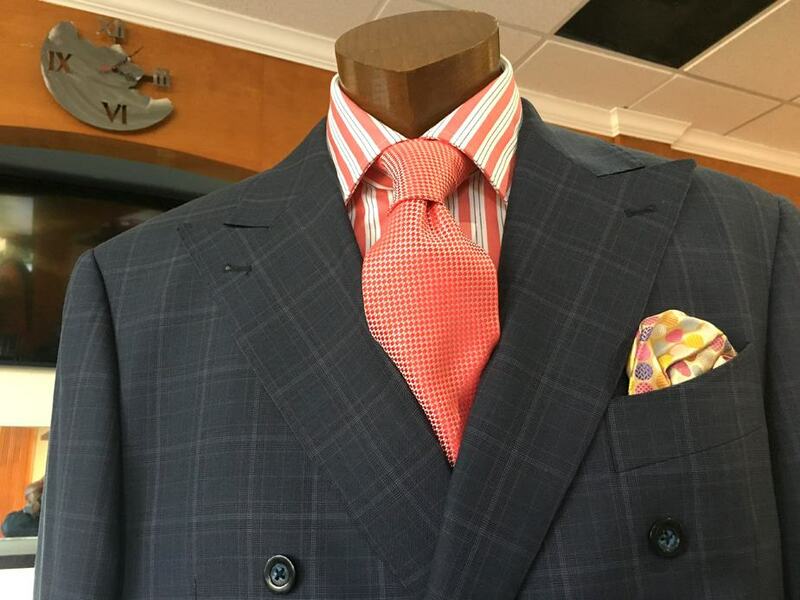 When he makes a suit for a customer, he is all about the details – high-quality fabrics, luxurious linings, working buttonholes, and masterful stitching – that make it stand out. McQueen is also big on accessories. Jewelry, socks, belts, shoes, watches all add to a man’s personal style and help to complete his look. And, oh yeah, don’t forget the pocket square. I asked McQueen to share his thoughts on the future of men’s fashion. He had a lot to say about the subject, but I’ll just give you the abridged version. While McQueen is an advocate for classic style, he encourages men to push the envelope when it comes to fashion. As we were talking, a couple entered the shop. McQueen excused himself to take care of them. The man said he was looking for an outfit to wear to a party. “He’s pretty conservative,” said his wife. “Look around,” McQueen said. “And let me know if you see anything you like.” As the couple browsed, McQueen gathered trousers, a blazer, shoes, shirt, and tie. He arranged the outfit on a table and waited until the couple had made their selections. The man seemed interested in the outfit, but his wife was not convinced. While she was trying to talk him out of this combination, a weird thing happened. The other customers in the shop started talking about how much they loved McQueen. 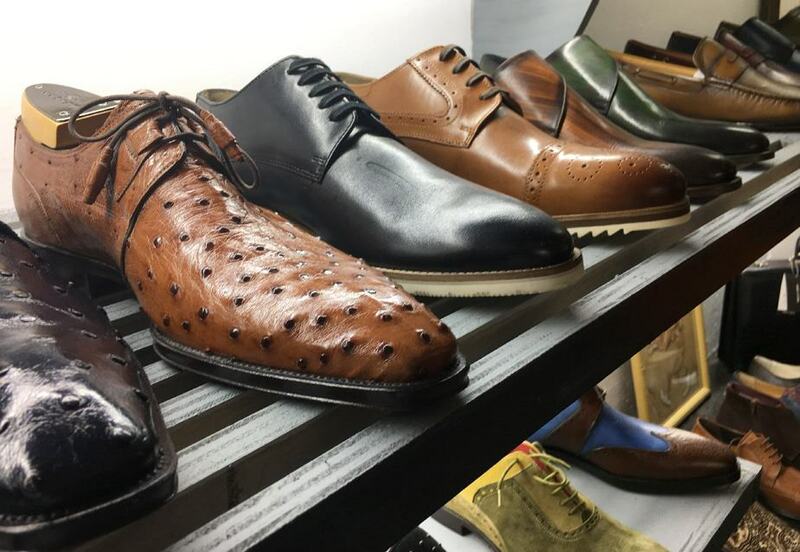 “When it comes to style, I’m in his hands,” said a customer who McQueen had earlier convinced to purchase some exotic, alligator shoes to complement his new suit. While they were talking, McQueen quietly arranged some items on the shelf as the couple continued to ponder the outfit. After a few minutes of tense discussion, the man said, “I’ll take it.” Much to the chagrin of his wife, McQueen’s cheering section had prevailed. None of their comments were solicited, but they felt a need to sing McQueen’s praises. That’s because McQueen has built a business based on trust, respect, and service. He truly loves people and that love is reflected in his work. As the final customers trickled out the store, McQueen offered me a glass of wine (he also owns a wine bar). The wine was top-notch, of course. I sipped it slowly as McQueen shared more stories of how he helped his customers create their dream wardrobes. Before I left, I asked McQueen for one final piece of fashion advice.